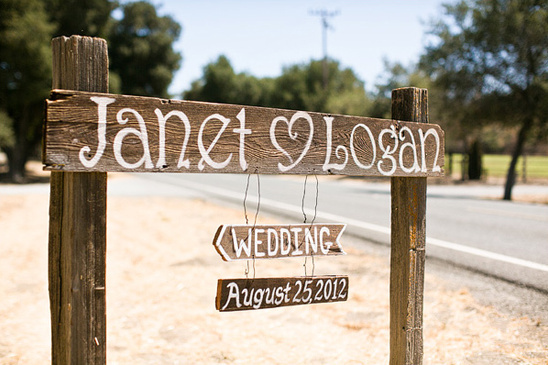 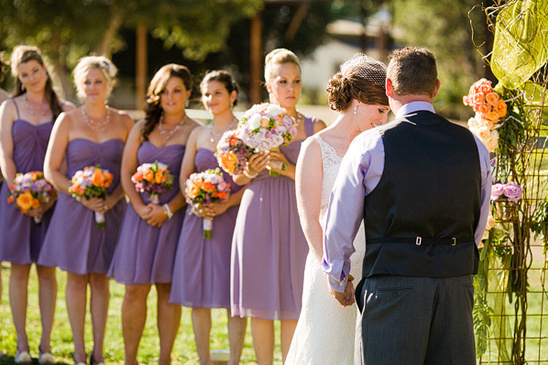 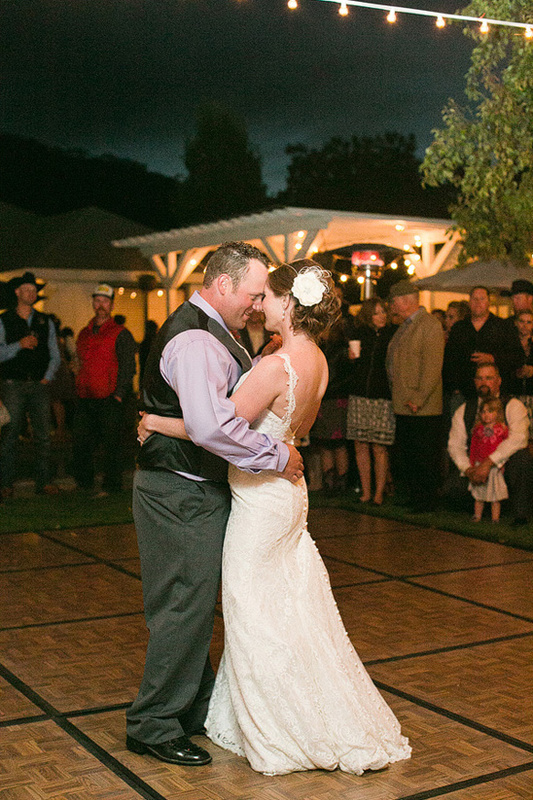 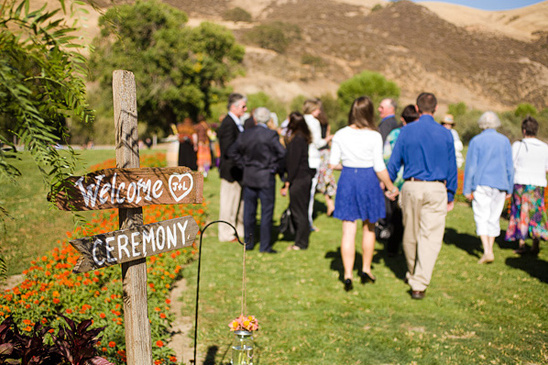 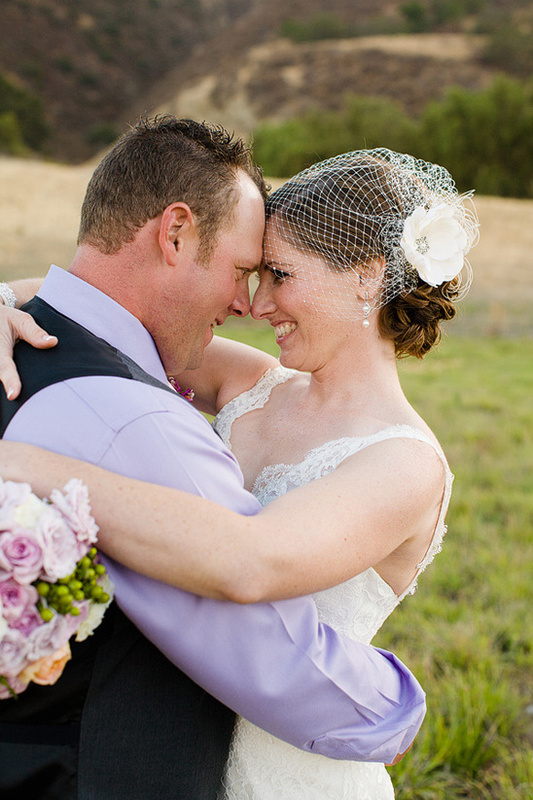 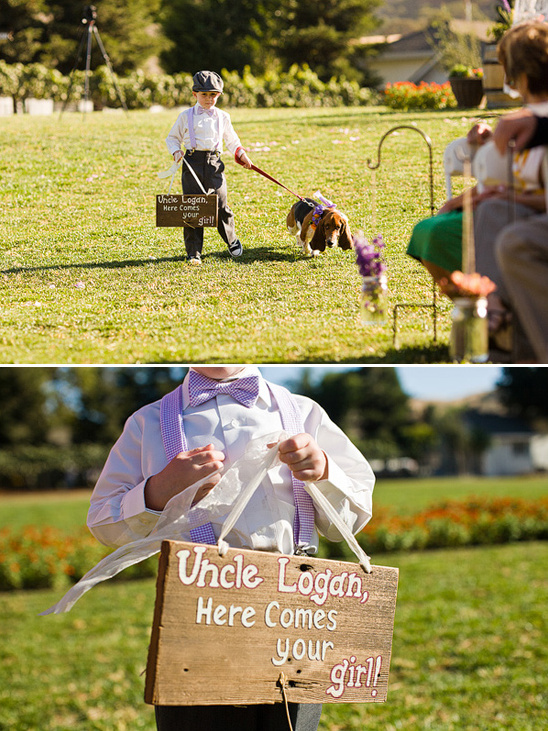 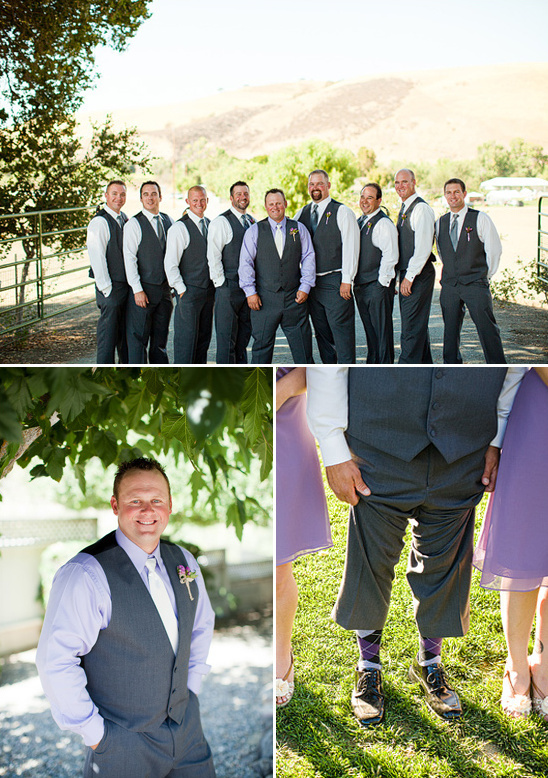 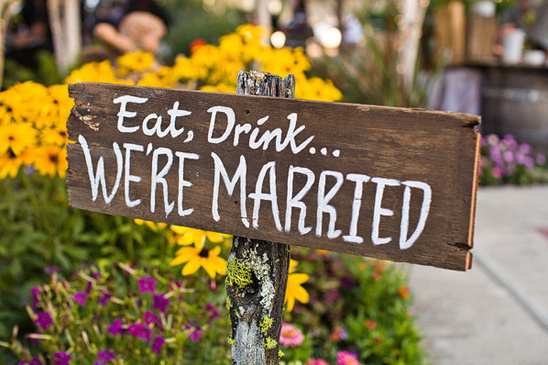 Janet and Logan tied the knot in an outdoor ceremony at the grooms parents home in Tres Pino, California. 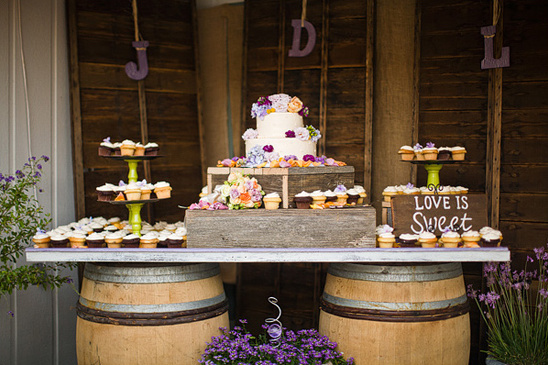 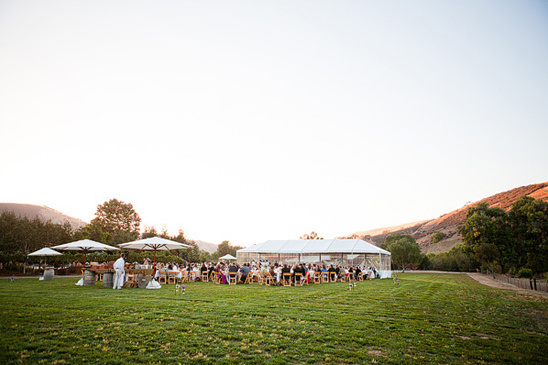 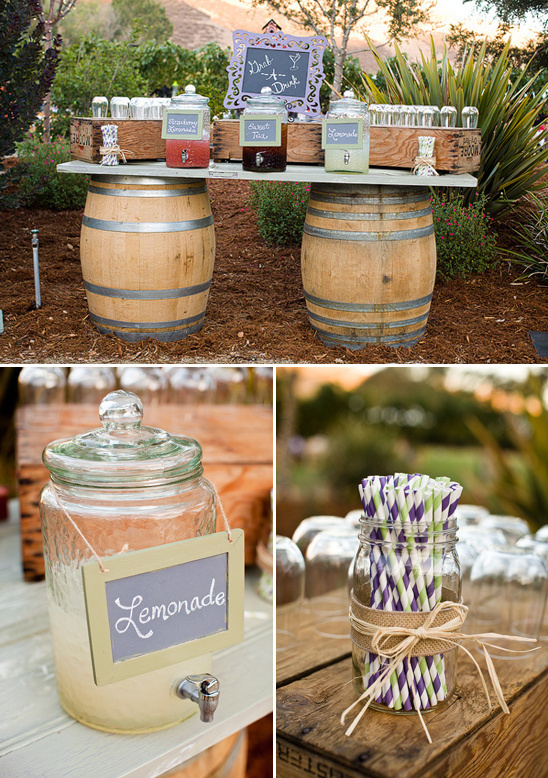 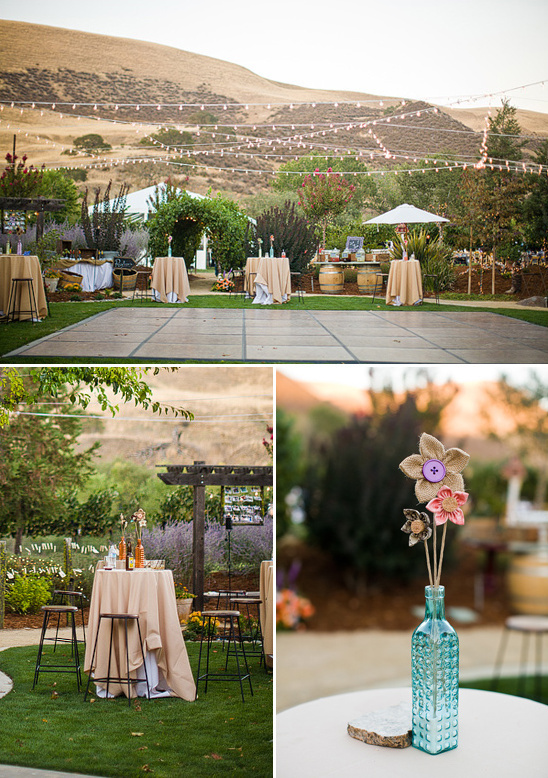 With foothills as a gorgeous backdrop, this backyard wedding embraced its surroundings with rustic DIY decor made by family members and friends. 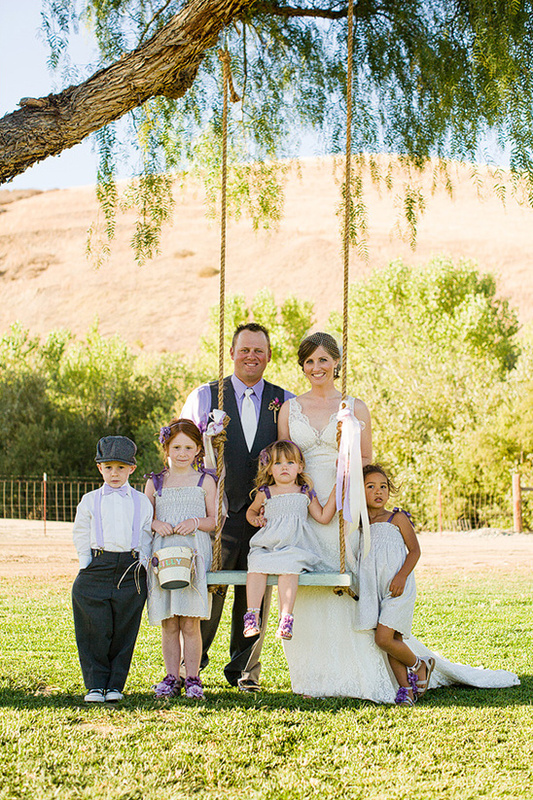 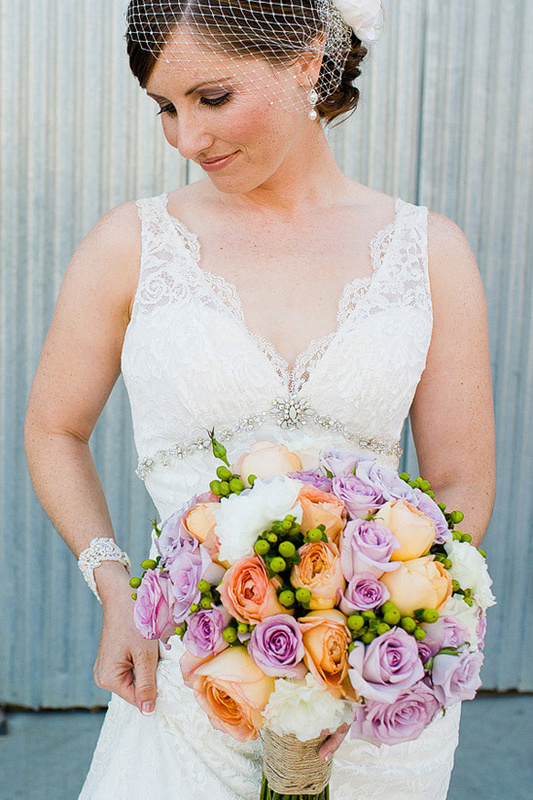 Be sure to check out all of the details from this rustic DIY backyard wedding in the full gallery here, all beautifully captured by photographer Jen Rodriguez. 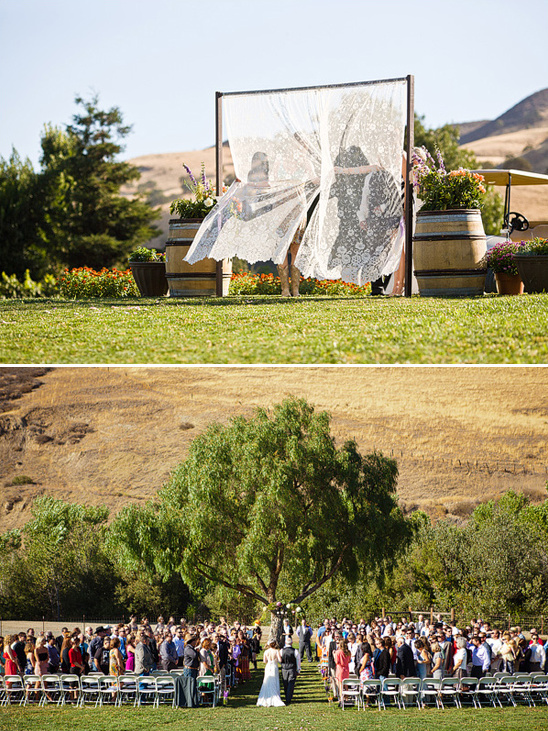 From the Bride:Most of the decor was chosen to fit with the landscape of where our wedding was being held. 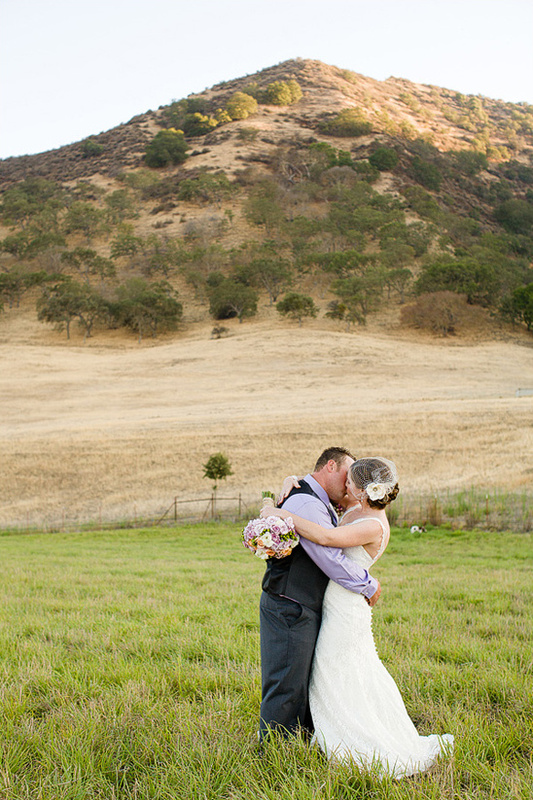 The area is primarily known for it's rich agricultural history. 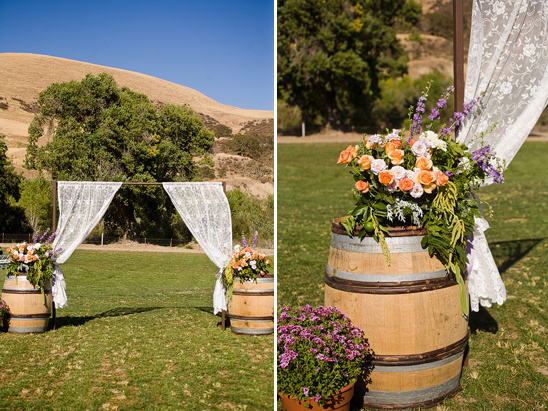 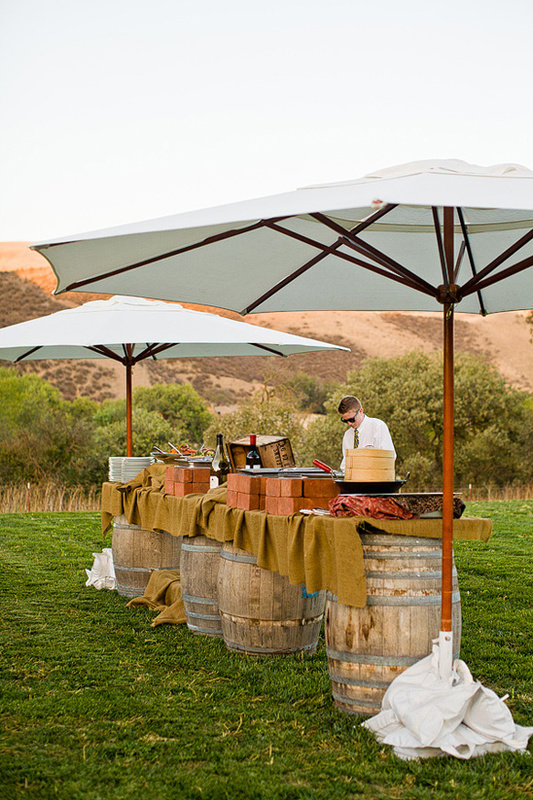 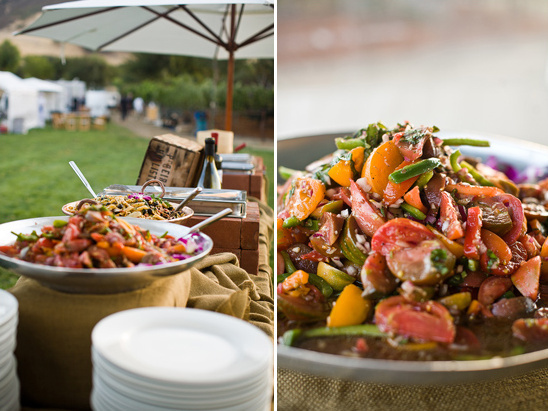 We used apricot drying trays, old wood produce boxes, barn wood & wine barrels to compliment the landscape we were getting married in. 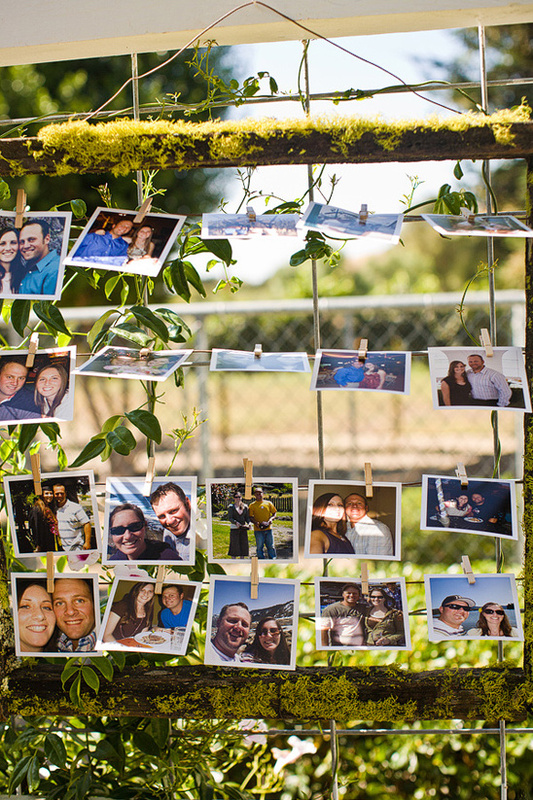 We had a DIY wedding. 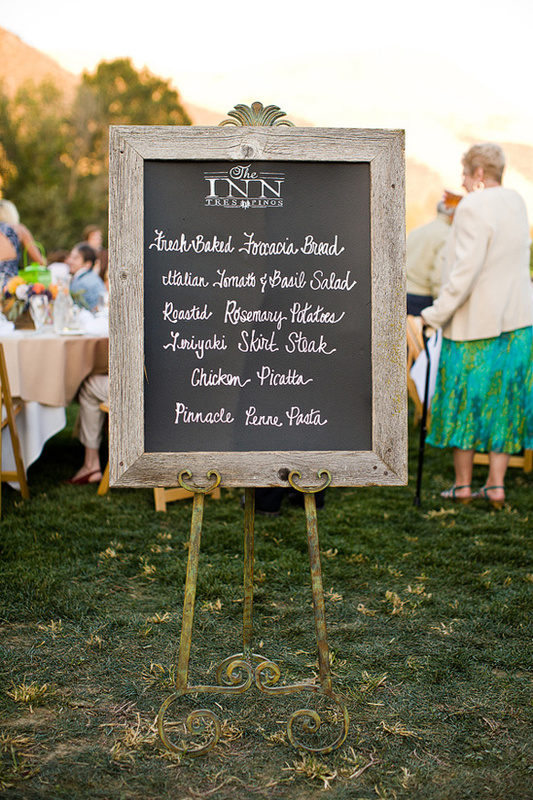 Wood signs were painted by my bridesmaids. 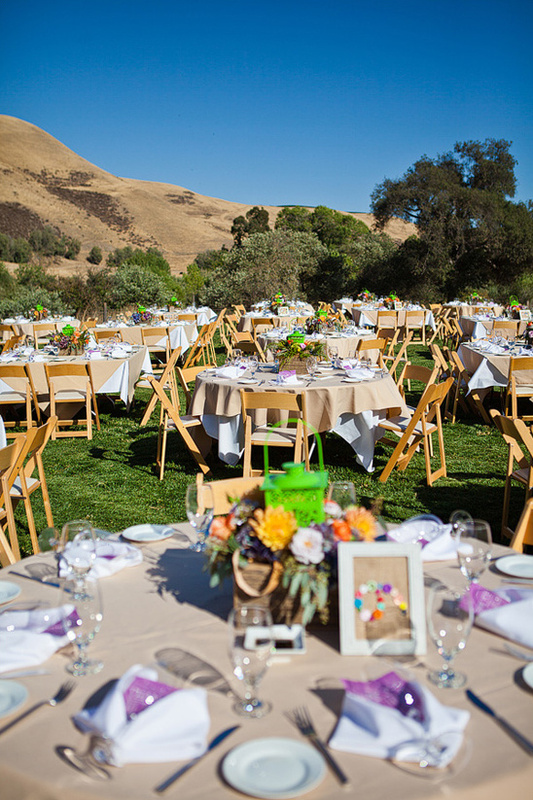 Center pieces were made from old barn & fence wood. 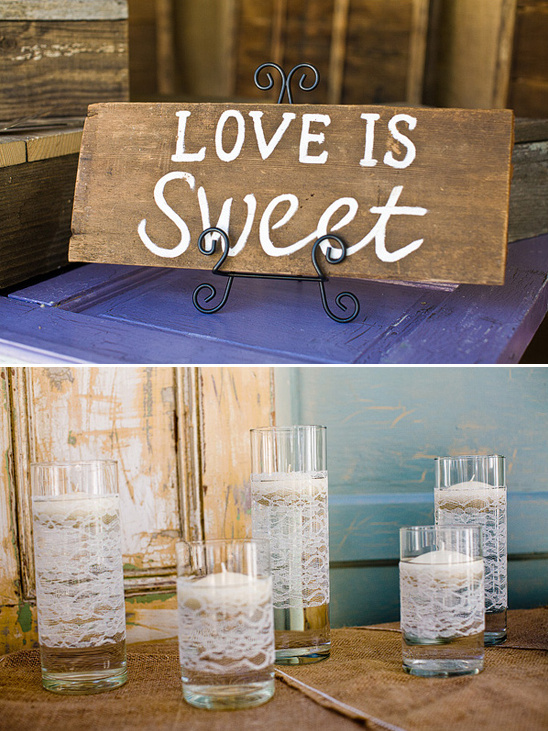 The doors were purchased at a building material recycle store and then painted. 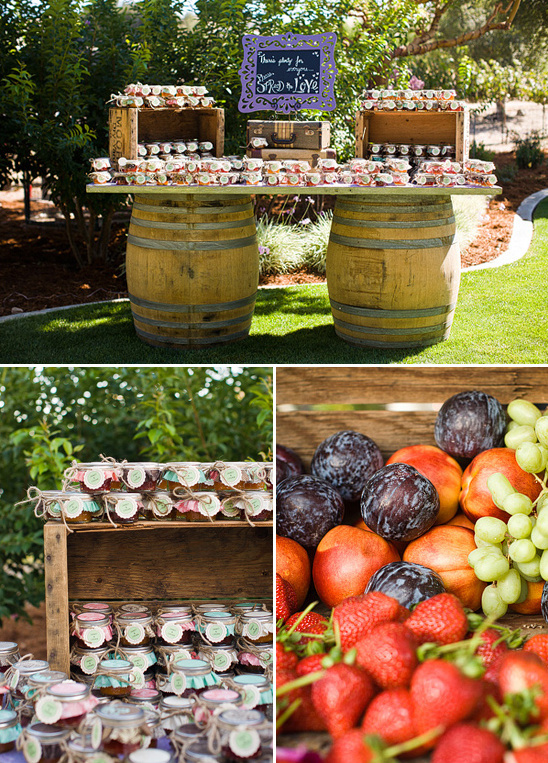 Jam was made by my mother in-law. 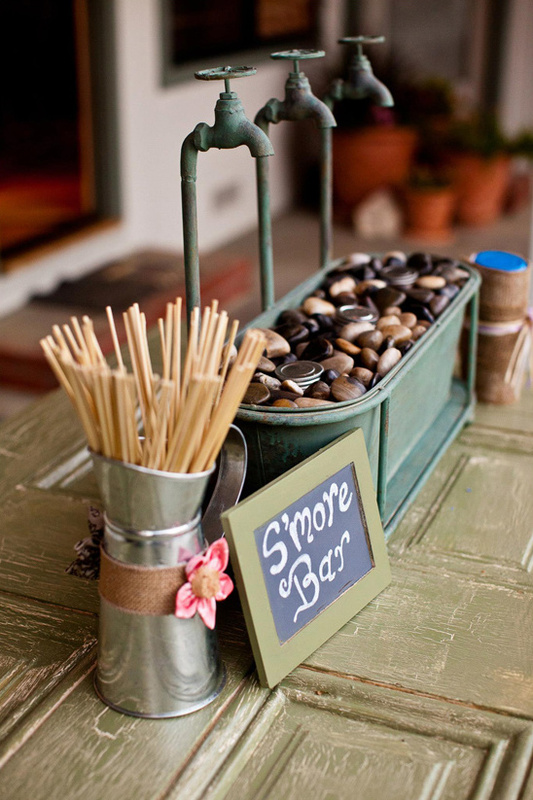 Logan and I both love S'mores so thought it would be something great to include in our wedding. 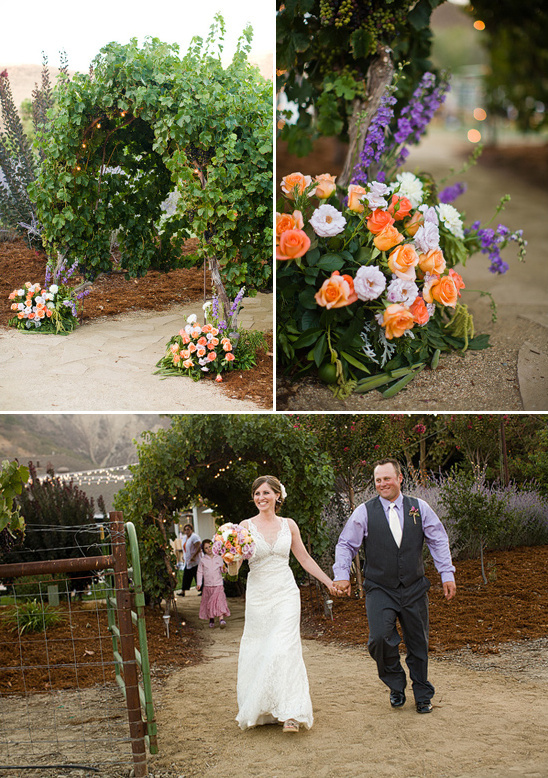 We designed it using planters purchased at Ross and sternos and rocks found at the dollar store! 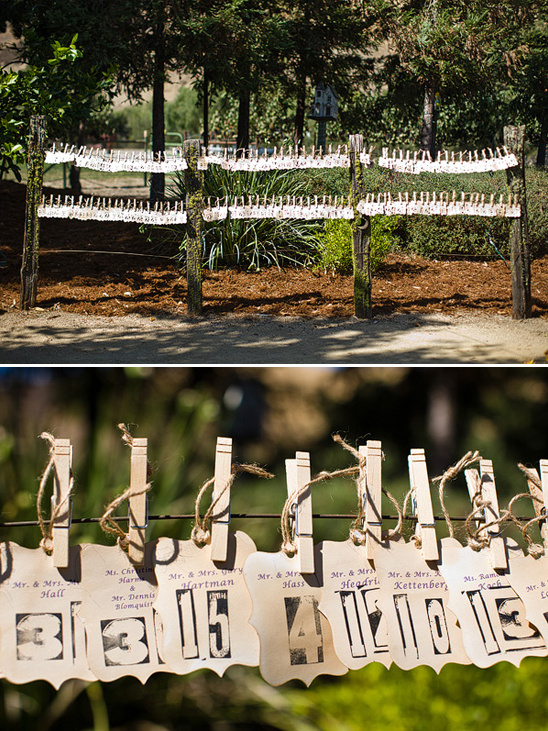 We love how these colorful DIY button table numbers pop off of their neutral background! 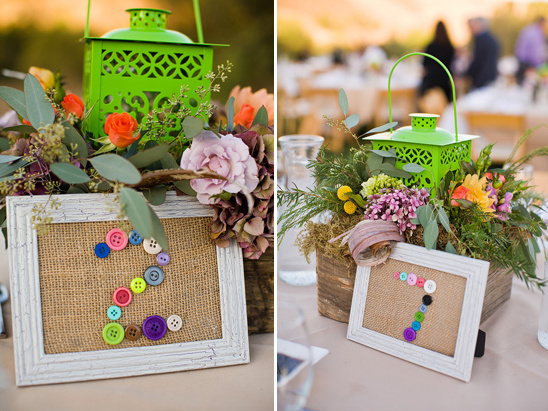 Recreate this look at your wedding using distressed tabletop frames, burlap fabric, and packages of multi-colored buttons, all found at your local Joann store. 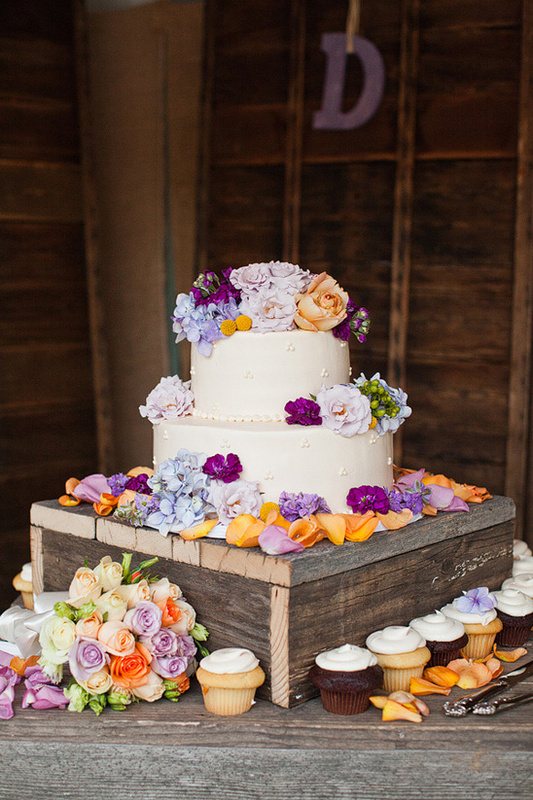 This fabulous wedding cake, made by Mazzetti's Bakery, fit in beautifully with the stunning flower arrangements Vaughn Floral Design created for the event — so well that it's hard to tell which flowers are real and which are made of sugar! 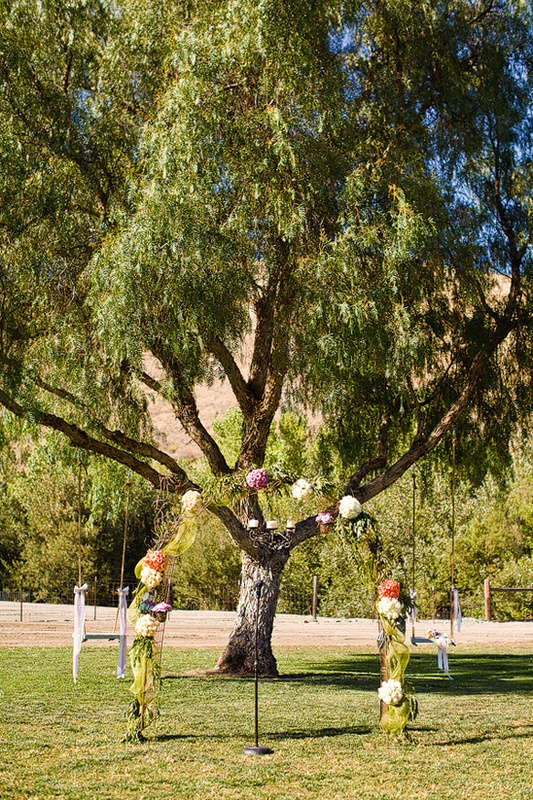 Get a closer look at this rustic backyard wedding in the wedding film below, expertly created by Ryan Wood Cinema.